The most irritating thing about winter is its unpredictability. 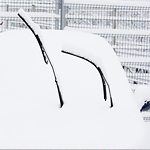 In some places, the cold months are relatively easy when it comes to car care. In other places, winter weather can take an extreme toll on your vehicle. Most vehicles are designed to work well during cold months, but this precludes owners making some preparations. Electrical, heating, and cooling systems are the most susceptible systems during long periods of cold. It is a good idea to have your battery checked long before the cold starts. There is nothing worse than being stranded because your car will not start. Also, make sure your coolant is full and cycling properly. This requires checks for pressure leaks in your radiator, and proper sealing around your water pump. Drivers expecting cold temperatures should also prepare their cars with steps like adding fuel line antifreeze to the gas tank. If you are unsure about what types of winter additives to use, ask an expert at Ferrari of Austin. This person can recommend the best winter prep, plus identify fixes that are needed because of last winter’s damage.